When i passed my motorbike test back in December 2011, I could not wait to buy a bike. I decided to go and view 3 bikes, two of them away out in Falkirk, and one at a dealership in the Southside of Glasgow. My brother and I decided to go to the Glasgow one first as it was on the way. This was the bike that I ended up buying, and i didn’t go and see the other two. 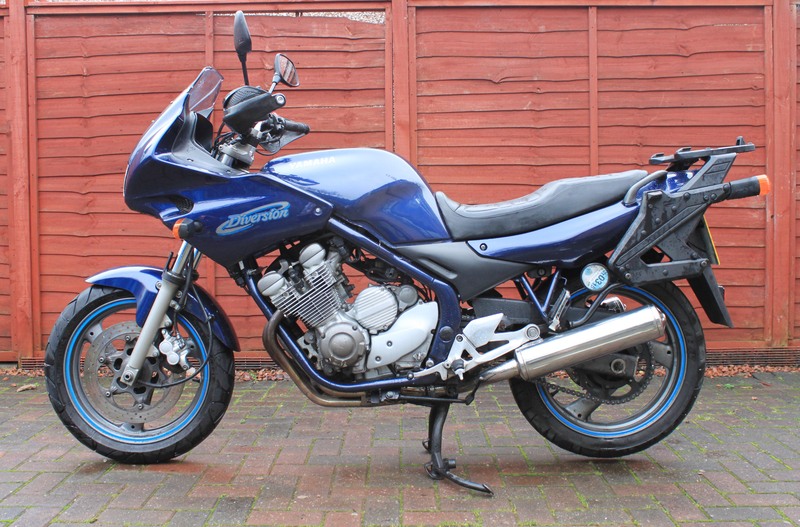 A 98″ dark blue Yamaha Diversion XJ600S it had low mileage, good tyres, set of panniers and sounded good when started, also within my price range. I went lots of places on the bike, lots of short runs round the block and long runs up the north of Scotland, every trip was an adventure, and the bike never missed a beat. I fitted it with heated grips and hand guards, raised the handle bars for a more upright seating position. When it came the time to sell the bike, I was trying to come up with scenarios that would allow me to keep my first bike as well as the new bike i had just bought, but i listened to my head and passed on the keys to someone else to discover and have fun with it. Letting go was hard to do, everyone remembers their first bike. A good bye to a good buy. A sunny Saturday morning, also the 1st of June (So officially Summertime), so another run on the bike. This time I thought i’d go up to “the rest and be thankful”. The route I would take, took me up by Loch Lomond and cut across to Garelochhead on the Haul Road (A817). 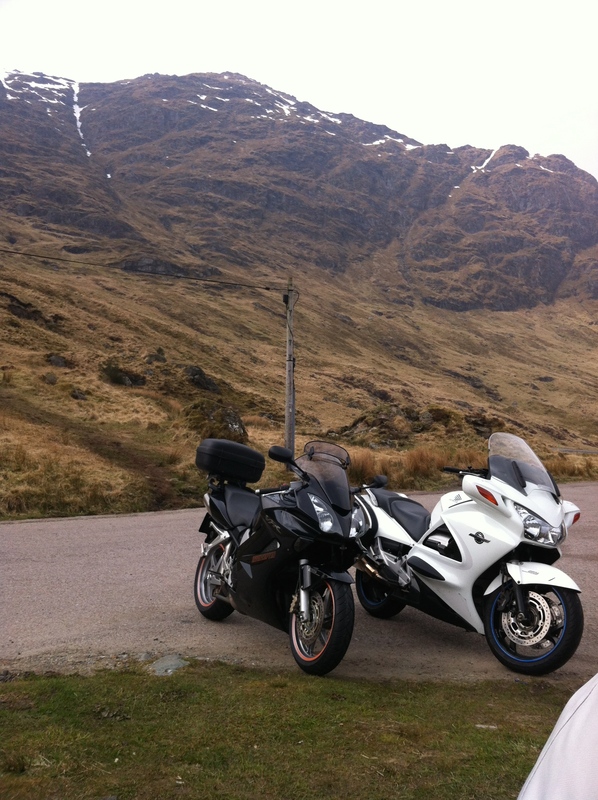 The road takes you up to Arrochar and from there onto my destination. I arrived at the Rest And Be Thankful at 8:30 am, no, I didn’t hammer it, I just left really early. The light is nice at that time (so is the traffic) but I didn’t take my camera, so I guess I’ll have to go back again, soon. The Haul road was fun, it’s the first time I had been on that road and I’ll probably use it again. On the way back I stuck to the Old Military Road (A83) to Tarbet then down the West side of Loch Lomond (A82), then back over the Ersikne Bridge. Heres the map. 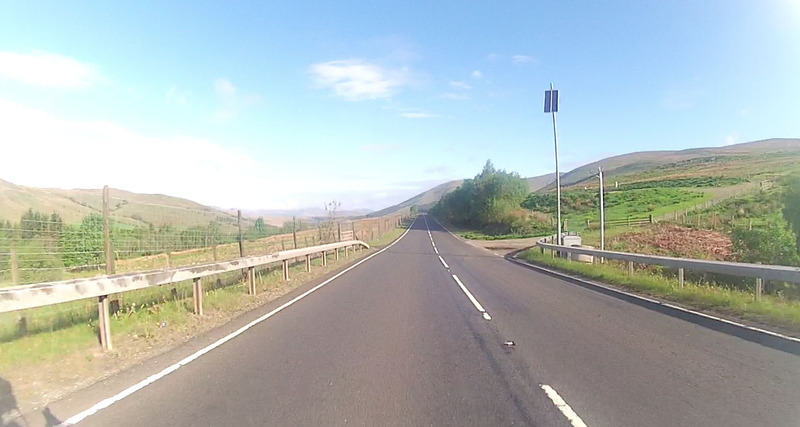 This road is quiet alternative to A82 that runs along the side of Loch Lomond. Arrochar to Dumbarton (25 miles) A814, runs alongside Loch Long then to Garelochhead and down the side of Gare Loch. Then you can take in the sights of Helesbourgh before you reach Dumbarton. If you have traveled the A82, you know it can be busy at some points of the day. Although it is a longer route the A814 is a nicer alternative. Here is the Map.